Found a few nice pieces for my area recently. Probably isn’t much for most of you but around here (northerlies utah) the pickings are slim and marked iron is almost always marked with outrageous prices. Anyway I was in an antique store and seen this attractive dome shaped DO marked “vintage lodge” for $29.. I was all over that! 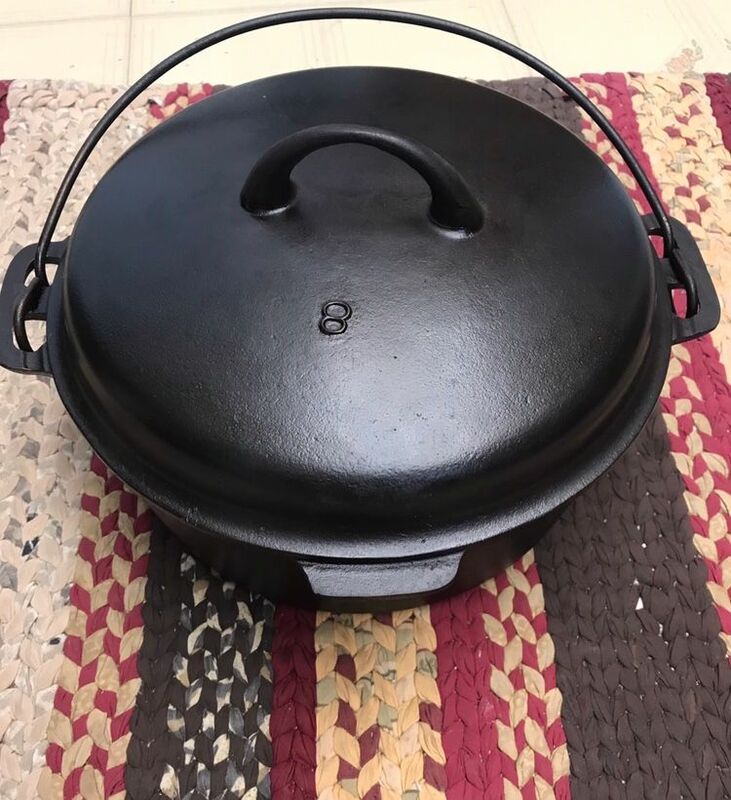 This is my first Griswold Iron Mountain piece, lid is tight without wobble. Going to do DO potatoes in it later today for it’s first use (by me anyway). Also found these pieces, I’ve used the griswold abelskiver already and it wasn’t the disaster I thought it would be. I’m still on the hunt for a Vollrath chicken fryer to go with lid I found, I guess that my holy grail right now. Anyway thanks for looking and good luck on your searches! 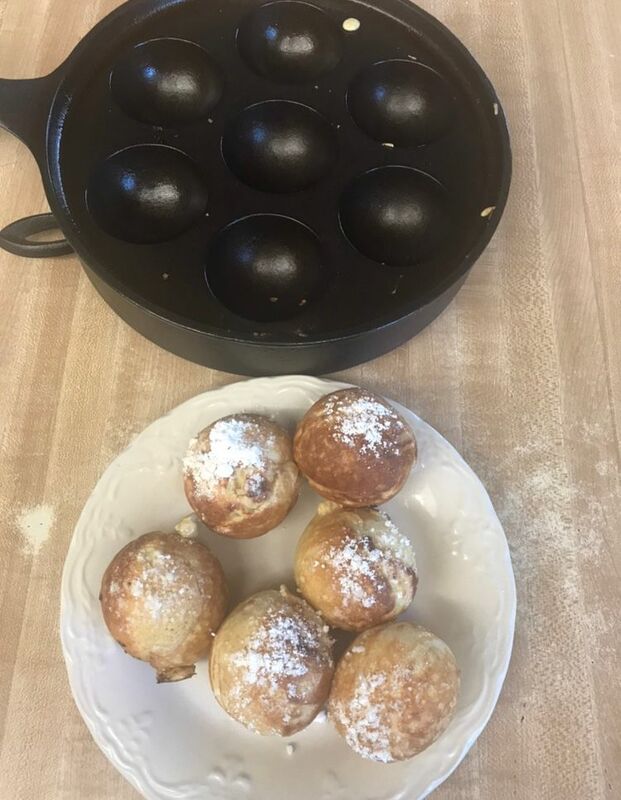 For aebleskiver pan only made six lol. I can tell you couldn't wait to try one. Did you fill it with anything? Good eye haha! Yes I put Nutella in half and a peanut butter and raspberry jam mixture in the other half. Quite good and surprised for my first try at them but I’ll use different filling next time . The DO is very nice looking. I'm most envious about the aebleskiver. Waiting to come across my first. When I finally get one, hope it is as nice as the one you found. Yes I really like that DO. 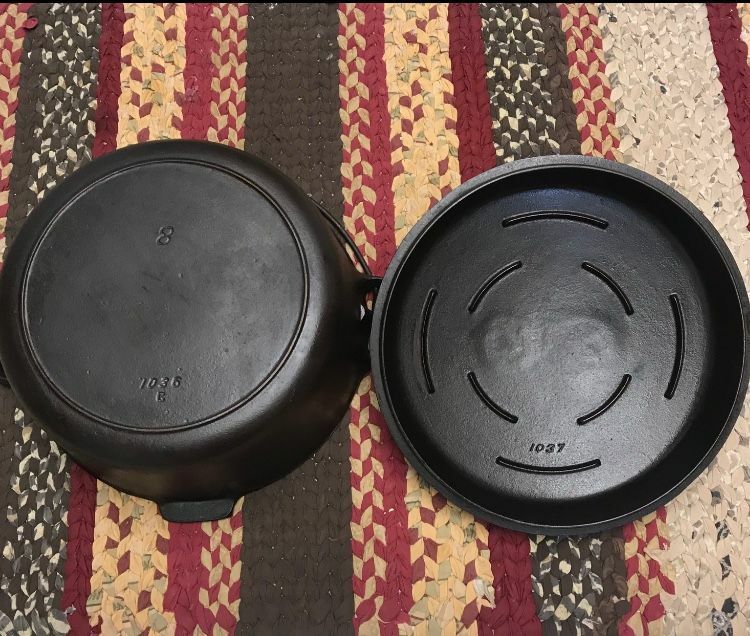 I didn’t take before pictures, those pics are after I stripped and re seasoned , but they were both in great condition to start with. First time use, I like it! 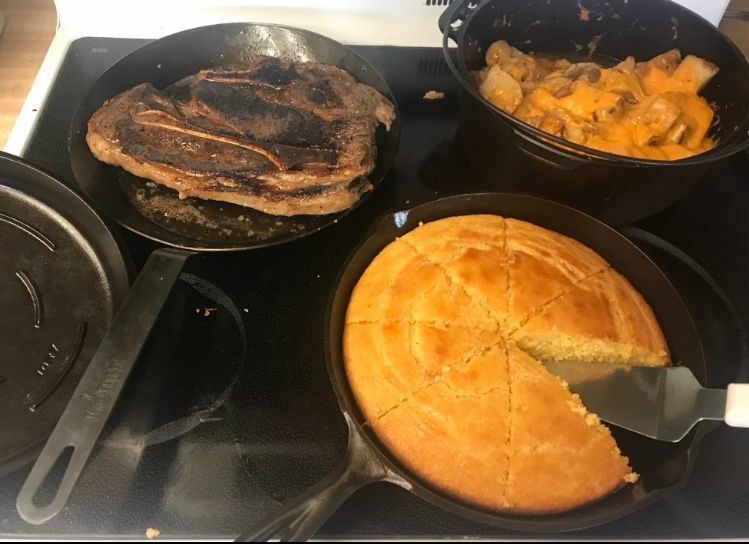 Off topic, but how do you like your carbon steel pan? I’ve been impressed with it. Only problem I’ve had is it warped a little on my glass top, probably because I got it too hot when doing the initial seasoning ? I’m told lodge would replace it but a little tapping with a mallet using a round log as a dolly it straightened out good as new, and hasn’t warped again since. Eggs slide around on it and it rivals cast for searing . I like it so much I’m planning on buying one of those fancy Aus-ion pans as well.